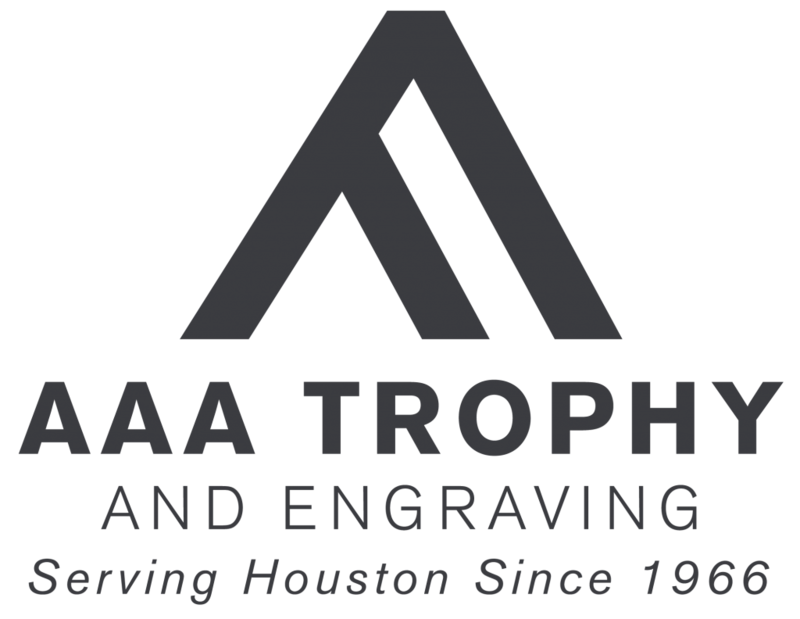 The experienced staff at AAA Trophy and Engraving is available to help you find exactly what you need in an award, gift, or promotional product. We will work with your items, or help you to select from our many catalogs. Our engravers have specialized in the master art of engraving on a variety of surfaces, including wood, crystal, metal, and plastic. We engrave by Laser, Computer, Diamond Cut, and Rotary. Hand engraving is also available. Bring us materials to engrave for you, or order from our catalogs. We guarantee our engraving work. There is a professional artwork department at AAA Trophy and Engraving, ready to serve you. We want to help you make the best decisions about the design of your award. If you need a logo for your new business or special project, call on the artists at AAA Trophy and Engraving to offer the benefit of their experience in design. We do casting and bronzing at AAA Trophy and Engraving. If you need figures bronzed, a plaque for your building, a memorial, or coin casting, the experienced professionals at AAA Trophy and Engraving will take care of your important memories.